For close to 100 years the PRR carried 10 percent of all freight in America, and 20 percent of all passengers. 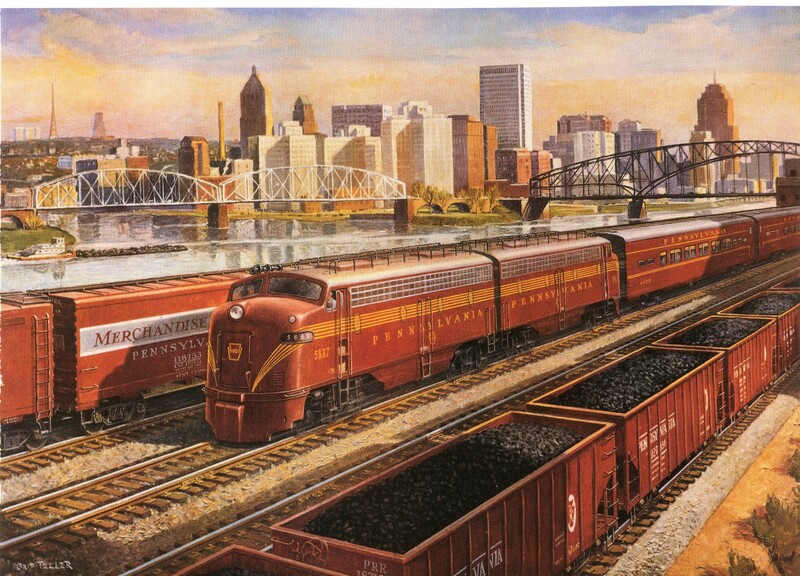 In this painting for Pennsylvania Railroad's 1954 calendar, Grif Teller featured Pittsburgh, Pennsylvania's most industrial city, and the railroad's busiest freight hub. In the 1950s 1/5th of all PRR freight tonnage came out of Pittsburgh.